Dental restoration refers to a variety of different procedures with one common purpose: to bring your teeth back to their original and/or best possible condition. Those procedures range from filling cavities to replacing missing teeth or providing long-term solutions to damaged teeth. Next to dental hygiene, restorations are the number one reason patients visit our office, and it’s no wonder! 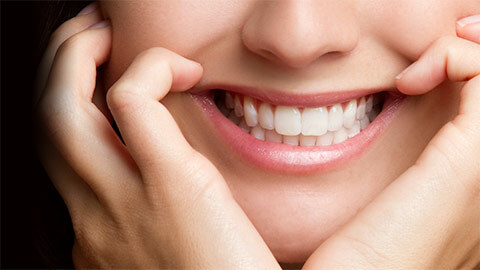 Damaged or missing teeth don’t just impact appearance; they can also cause numerous issues with your oral health. By far the most common dental restoration, fillings are used to fill in areas of the teeth damaged by tooth decay, cracks, chips, or wear. Modern technology makes the humble filling easier and quicker than ever! A crown, constructed of porcelain or resin, acts as a cover for a tooth that’s been extensively damaged or has undergone other procedures. A crown prevents any further damage to the tooth, and restores its appearance. If you’ve ever had a root canal, chances are the dentist has recommended a crown to complete the work on your tooth and preserve its health long-term. Inlays, like crowns, restore a damaged tooth for both appearance and longevity. Made of porcelain or resin, an inlay fits within the contours of your tooth instead of fitting over the tooth the way a crown does. With an inlay, the fit is tight and accurate to a high degree, making it a popular modern dental option. An onlay is fitted and precise like an inlay, but covers a larger portion of the tooth, right down to the gumline in some cases. These give the same great appearance and longevity of the inlay as well. 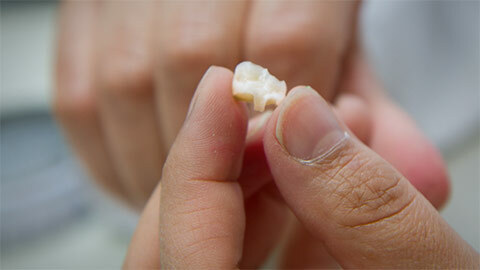 For those who have missing teeth surrounded by healthy ones, a bridge can be a great choice for tooth replacement. The replacement teeth fit into the space and are anchored in place by a wire frame that attaches to the teeth on either side. The appliance is long-lasting and the artificial teeth look natural and attractive. For any kind of dental restoration, for any member of your family, you can trust the team at Drumheller’s Big Country Dental Care. We are your partners in achieving a healthy, beautiful smile!